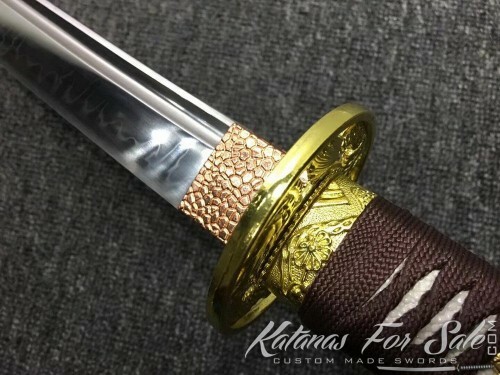 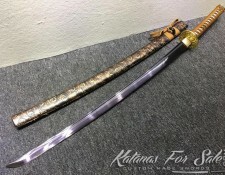 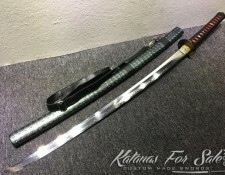 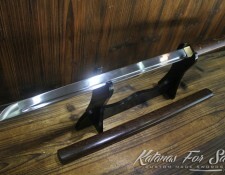 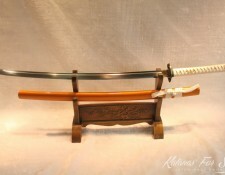 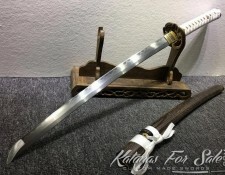 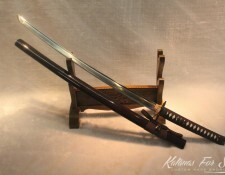 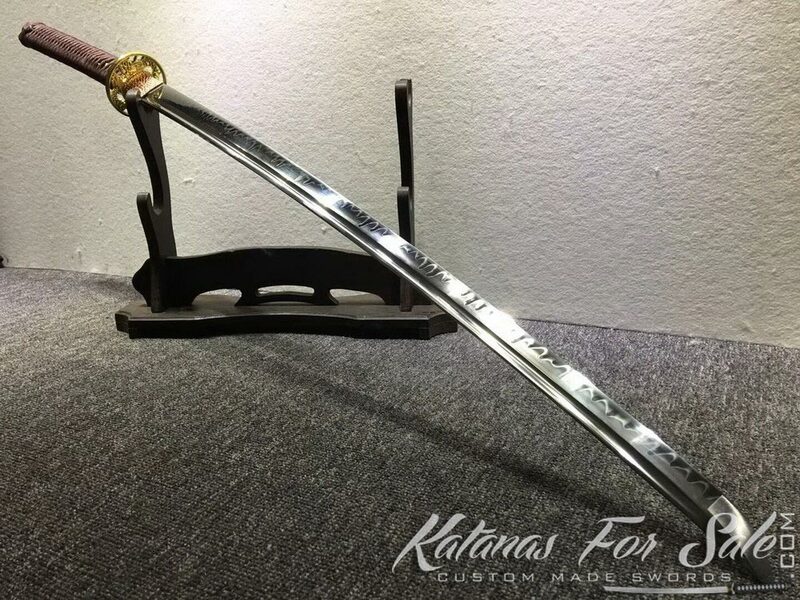 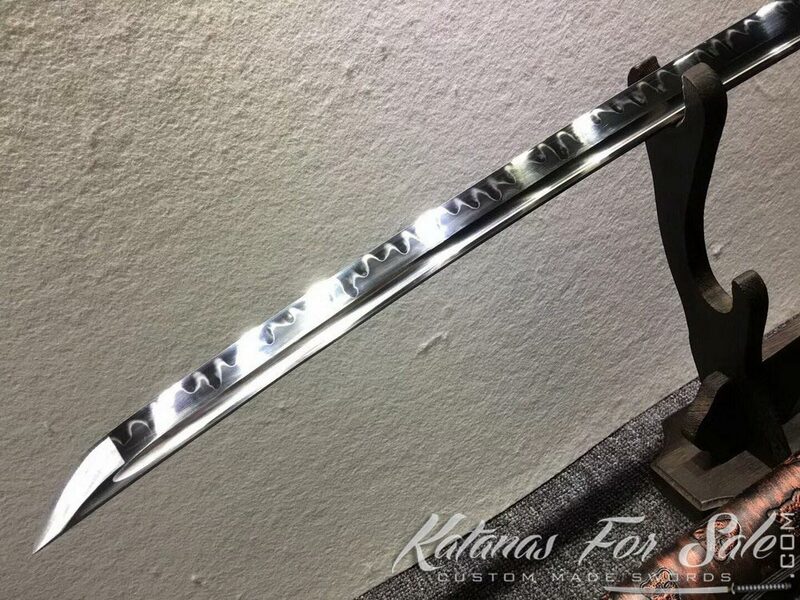 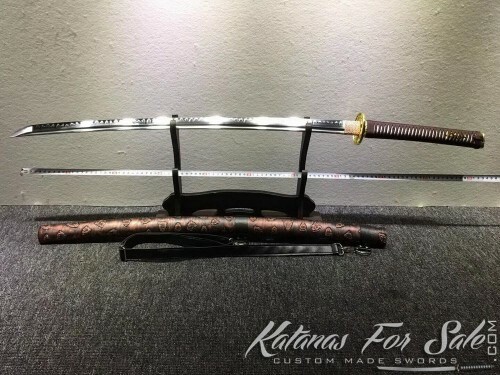 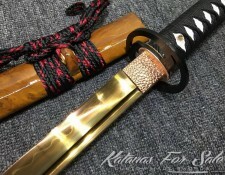 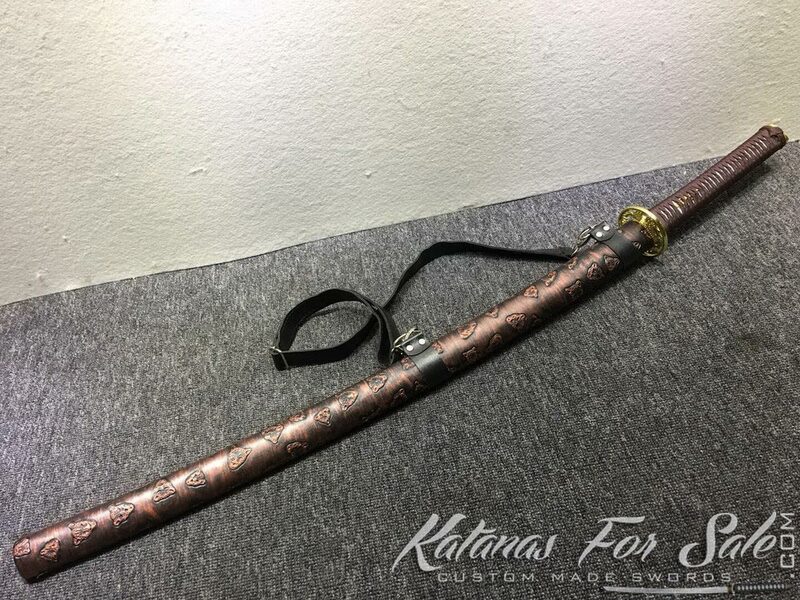 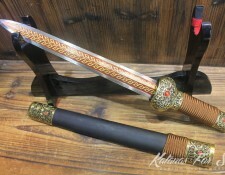 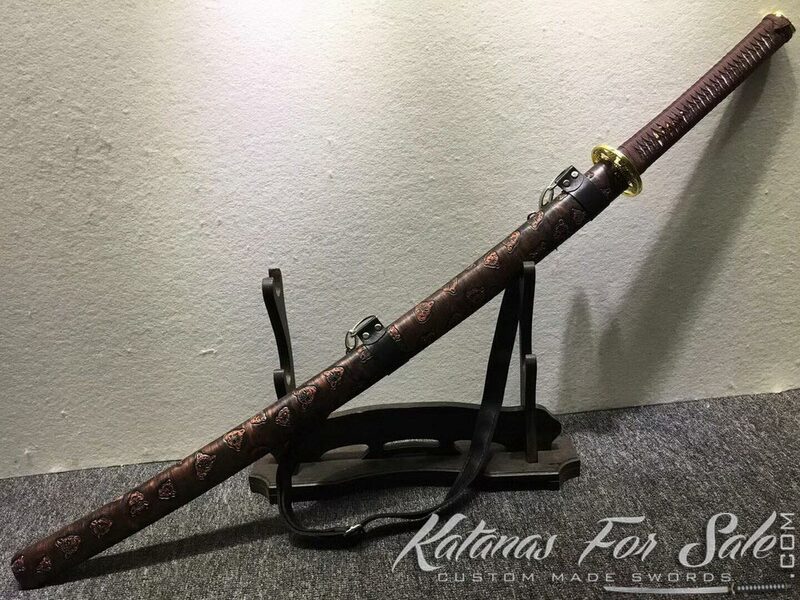 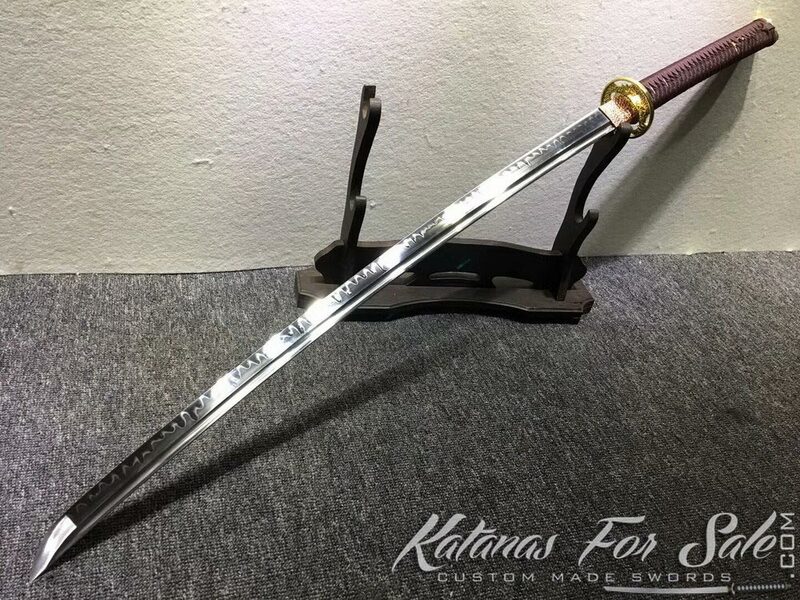 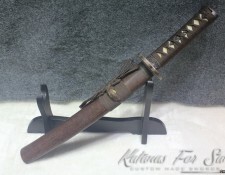 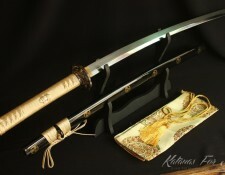 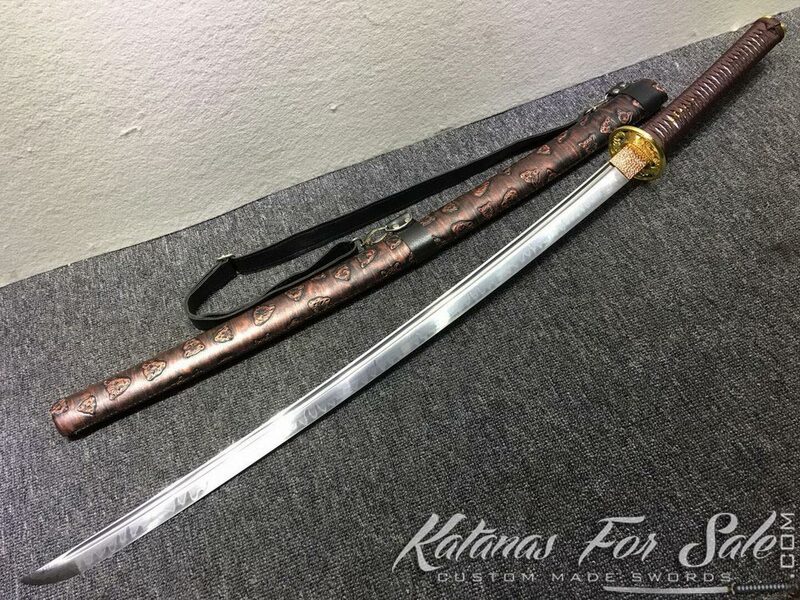 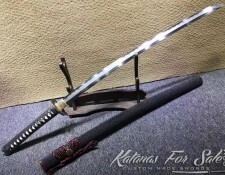 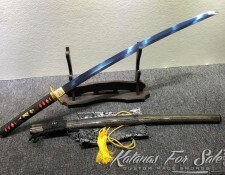 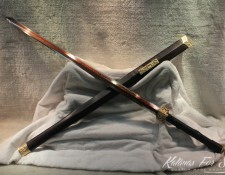 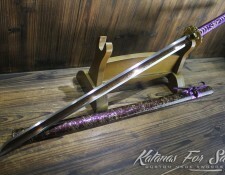 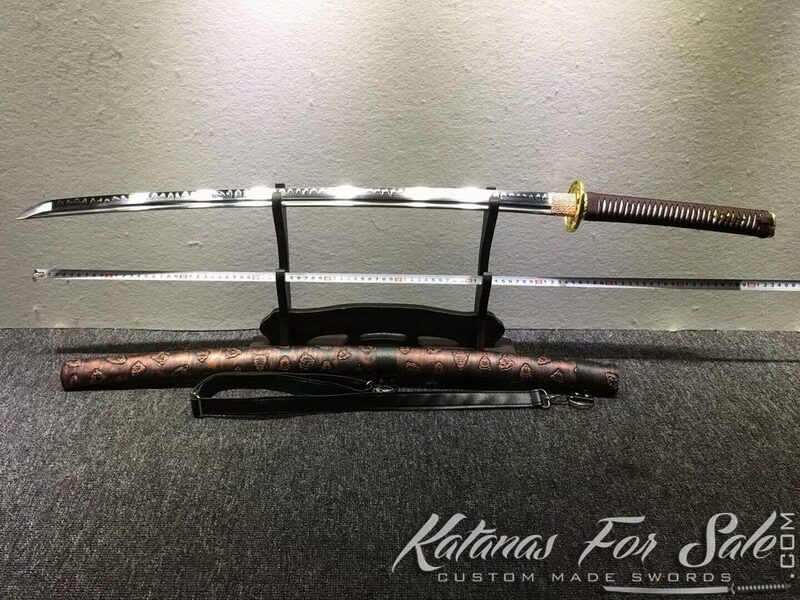 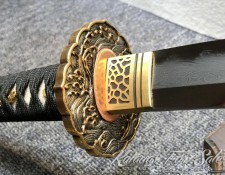 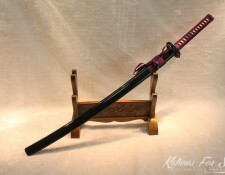 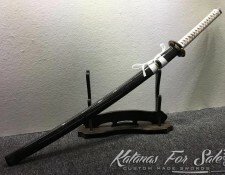 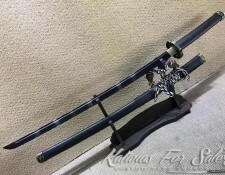 This Katana is made from differentially hardened T10 Steel with Choji Hamon, it has elegant Saya made of synthetic leopard leather and feature a shoulder strap. 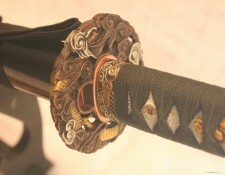 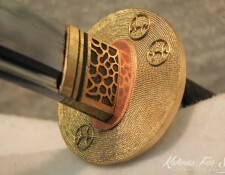 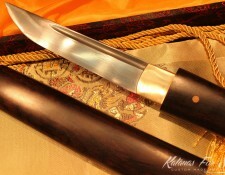 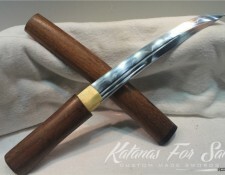 The handle is brown rayon silk with white samegawa. 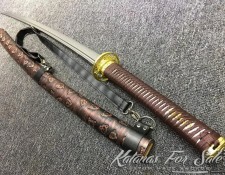 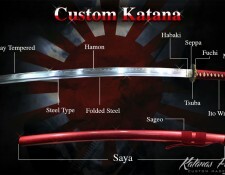 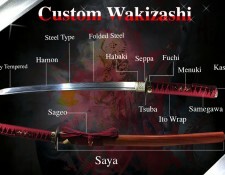 Saya (scabbard): Synthetic Leopard Saya with Shoulder Strap.